Healthcare facilities, such as nursing homes, hospitals, child care, assisted living and hospice centers promote and support both physical and mental health to assist the well-being of people around the world. Part of this responsibility requires them to keep and maintain hygienic and clean environments, which can be a challenging daily task! One of the best practice cleaning policies in these sorts of environments recommends single use, disposable wipes to control the spread of germs and bacteria. This requires economical wiping solutions, that are easily accessible and of good quality, both in terms of absorbency and appropriateness to the required task. WHITE RHINO WIPES are specifically designed to meet these criteria that the healthcare industry demands! These high-quality healthcare cleaning cloths are an essential part of healthcare cleaning supplies. WHITE RHINO WIPES are smooth, non-abrasive white cloths packaged in a roll format of 220 perforated wipes that can easily be torn-off, used and then disposed of thereafter. They are strong and will not fall apart when soaking up those unwanted spills, including urine or vomit, and can be used with cleaning chemicals. 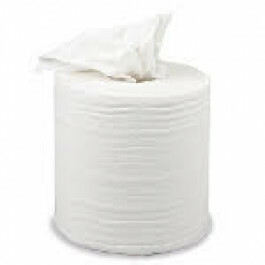 They are very absorbent because they are manufactured with high concentrations of woodpulp, for consistent absorbency. They also contain an element of polypropylene, which gives the wiper it's strength, making it much more durable than a paper towel, irrespective of the number of plies of tissue. The white colour of these cloths is also very useful in showing up dirt and grime. So, whether it is surface spills and mess that need wiping up, or equipment, instruments or glass monitors that need polishing, or grease and grime that needs removing from kitchens or the repairs and maintenance department, this versatile disposable wiper is the answer! If you are not already using WHITE RHINO WIPES, give this hardy, tough wiper a try and enjoy the benefits that this multipurpose disposable wiper offers in keeping healthcare environments hygienic and clean, without breaking the budget! Other related products from TIDDOX's medical range of cleaning wipes are the OMNIWIPES, the DISPENSER BOX OF RHINO WIPES, and the INDUSTRO WIPES.